The warmth and charm of this 1920's Dutch Colonial home invites you back to pleasant memories of special places in your past. A place that was cozy and comfortable; friendly and serene. Enjoy a stroll in the gardens, daydream by the pond or just relax in a cozy nook or under the colonnade with a good book. We are an easy walk from the ferry terminal; transportation to and from the ferry also supplied - luggage perhaps. We are 5 minutes from the entrance to Olympic National Park for Hurricane Ridge. 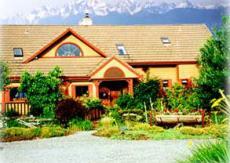 Kangaroo House B&B you will find a retreat from the hustle and bustle of the everyday. Our desire is to provide you with a restful haven and lovely gardens; to pamper you with delicious breakfasts and a delightfully decorated and comfortable guestroom. Put your feet up in our spacious living room with its grand, fieldstone fireplace and turn-of-the-century furnishings. Spend a quiet afternoon curled up with a book. Linger over one of our fine, homemade breakfasts in the bright and airy breakfast room or on the sunny deck. Rest, Renewal & Romance in an enchanting country setting treating you to charm & privacy. The Farmhouse, located on the south end of Whidbey Island, overlooks Useless Bayâ€™s west side sandy beaches from a 2 Â½ acre hillside retreat with spectacular sunset, Olympic Mountain & Puget Sound shipping views. Just 5 miles from Langley, find 4 private & delightfully appointed, spacious suites each with private entrance, deck, fireplace, kitchen & cable TV/VCR/CD/DVD/WiFi & phone. Each suite has a private bath, 2 have jetted tubs. 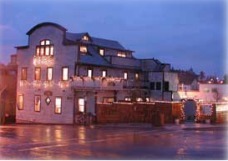 "A hundred years later, it's still perfectly placed as an Inn on Mt. Hood" - NW Best Places - as featured in Sunset Magazine. 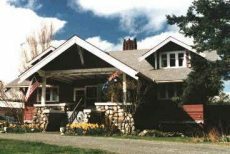 Like coming home, the Old Welches Inn Bed and Breakfast in Mt. 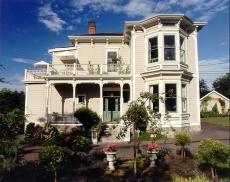 Hood, Oregon embraces you with the warmth and hospitality that has been its tradition since 1890. Come and experience a relaxing, romantic weekend getaway at our beautiful Mt. 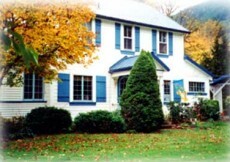 Hood Bed and Breakfast by the Salmon River - we are so much more comfortable than a hotel. "One hour from Portland but a world away!"